The English FA Cup, the world's oldest football cup competition, has captured the imagination since it's first round of matches in 1871/1872. For the first 63 years of the competitions existence if your team had successfully won their way into the showpiece final, which was hosted at Wembley Stadium in London since 1923, you would have to travel to the capital and be fortunate enough to get a hold of a ticket. This began to change though in the 1937/1938 season with the emergence of television and football as a whole would never be the same. On 16 September 1937, the British Broadcasting Corporation (BBC) recorded a specially arranged friendly between Arsenal and Arsenal Reserves at Highbury and it later became the first match to ever be televised on British screens. Although the match was recorded and shown on a delay the potential for airing football on television was immediately evident to the BBC and the following spring the biggest event in English football would appear on TV for the first time. 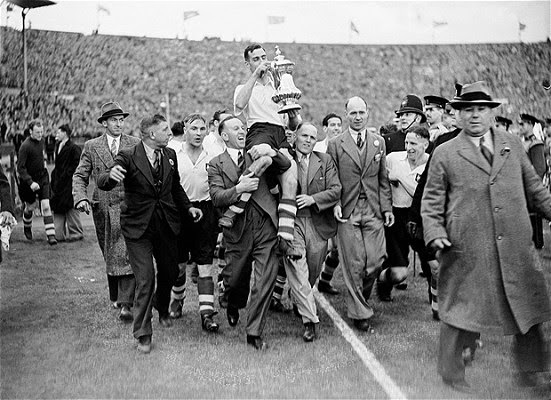 On 30 April 1938, the FA Cup Final between Preston North End and Huddersfield Town was broadcast in it's entirety by the BBC cameras. As this tightly contested Cup Final progressed through extra time without a goal, BBC Commentator Thomas Woodrooffe may have originated the dreaded 'Commentator's Curse' when he said, "If there's a goal scored now, I'll eat my hat". 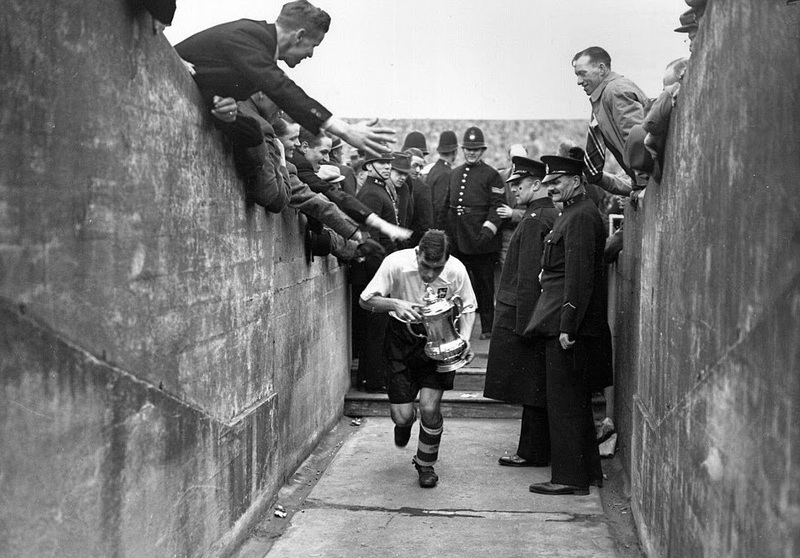 With only a minute to play, Preston won a penalty that George Mutch rifled in off of the crossbar winning the famous old trophy for his side. Woodrooffe proved to be a man of his word and later ate a hat. Although, it was made of sugar-coated cake. As television was still in it's infancy and the BBC's broadcast signal did not extend far outside of London, it's estimated that the audience was around only 10,000 for the Final. This is a far cry from the predicted global audience in excess of 500 million that will take in the FA Cup Final between Arsenal and Aston Villa on 30 May 2015.